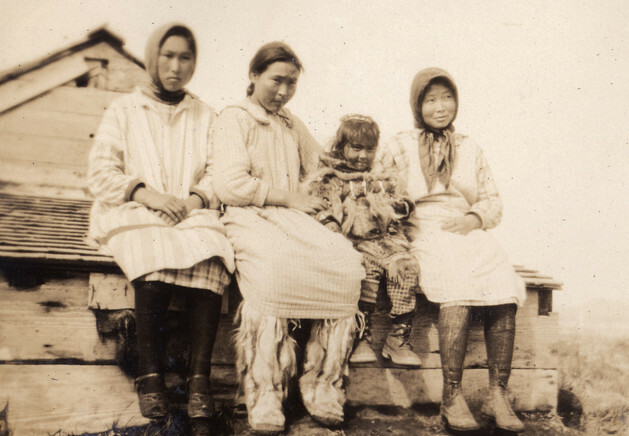 Yup’ik girls wearing fur boots (third from right) and parka (second from right). Togiak, 1927. Photo by Otto Geist; courtesy of the Anchorage Museum, B92.33.32.